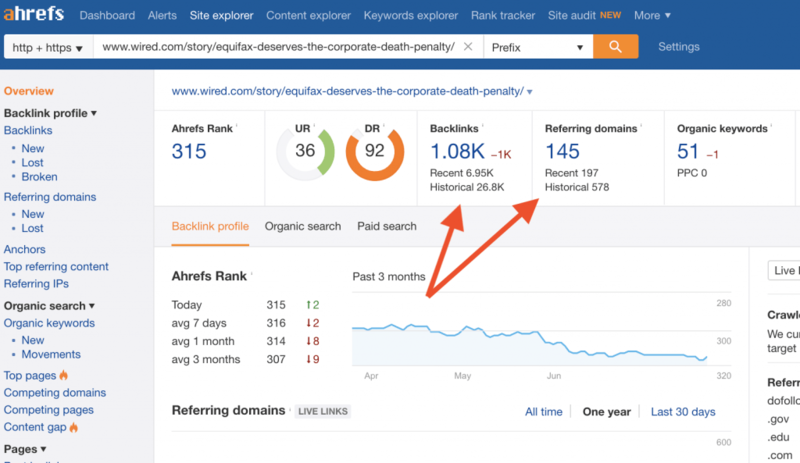 Everybody wants killer, juicy, in-content links that drive massive jumps in rankings – But actually getting those links isn’t always easy. …Especially if you don’t want to spend a fortune, or you don’t have a ton of time. There is a big problem that most sites have that essentially prevents them from getting these links. After all, that’s the page you really want to rank, right? Here’s the problem: The cold hard truth is no one cares about your products and services, so they won’t link to them. 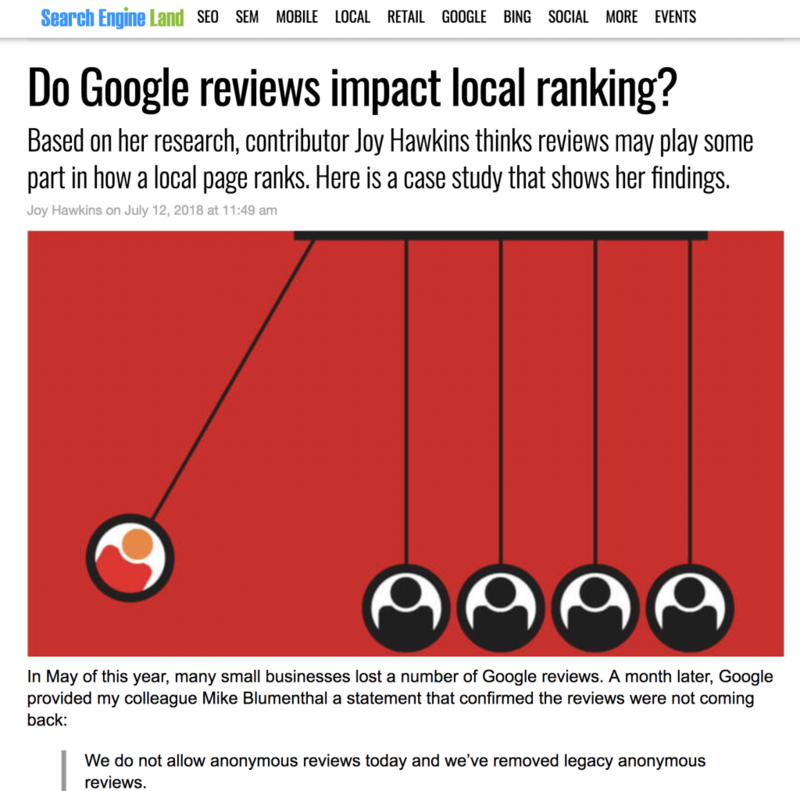 Editors smell SEO links from a mile away and will either nix them right out or just not publish them. In fact, it doesn’t even really matter what anchor text you use, what’s even more important is the actual page that’s getting linked. So how to do start ACTUALLY getting high DA, natural links to your site? The answer is simple: You need something worthy of linking to! Then, you can link internally to your product pages to keep the traffic and juice flowing. 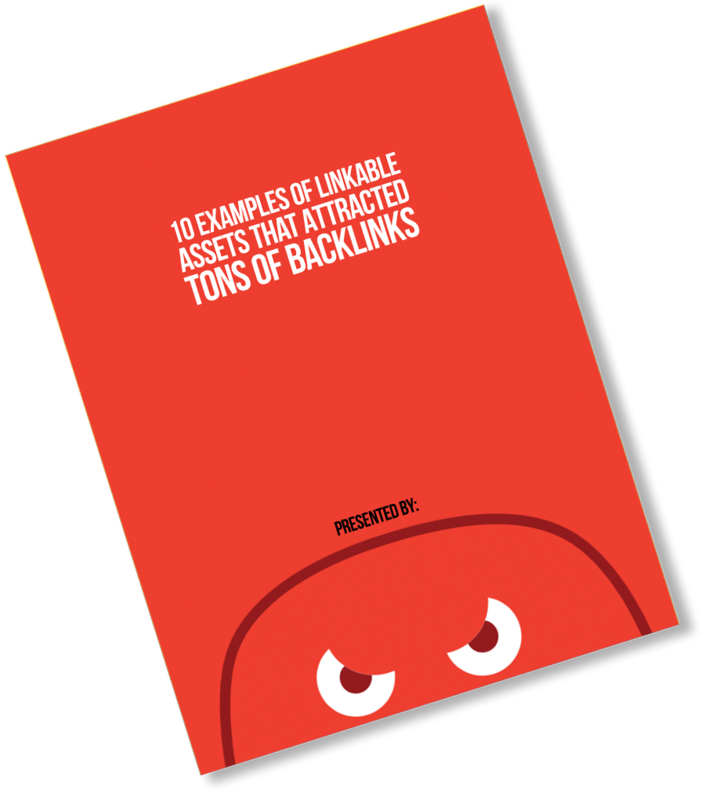 Want to see 10 more examples of linkable assets that attracted TONS of backlinks? Click below and input your email. We’ll send it right over! Today we’re going to walk through what it means to have a linkable asset, show you examples of highly linkable content, and help you start attracting those holy grail links! The term “quality content” gets thrown around so much in the SEO community that it can almost make you roll your eyes. So let’s get real – How are we going to actually define quality content? In this context, our goal is to get links to our site, so let’s break down what types of content actually achieve that. Simply put: “Quality content” is content that answers essential questions being asked by the target audience, provides research, important news, or presents a controversial opinion. Quality content pieces are linkable assets on your site that are so good, other websites naturally refer their audiences to it. Buzzsumo did an awesome study about the types of content that attract the most links and shares. All these types of content are both highly shareable and linkable. I’ll provide you with an example or two of each and why they work below. Try creating content that answers questions people actually want to know more about. Authoritative content such as guides and How-To articles are referred to often by publishers. Why is this the case? Because authoritative content tends to provide valuable information in a way that makes it easy to reference. Editors don’t mind linking to this content because it provides their readers with additional value. Let’s say you wanted a link from a publisher like Forbes: a website with high domain authority and thus a high-quality backlink for your site to get. 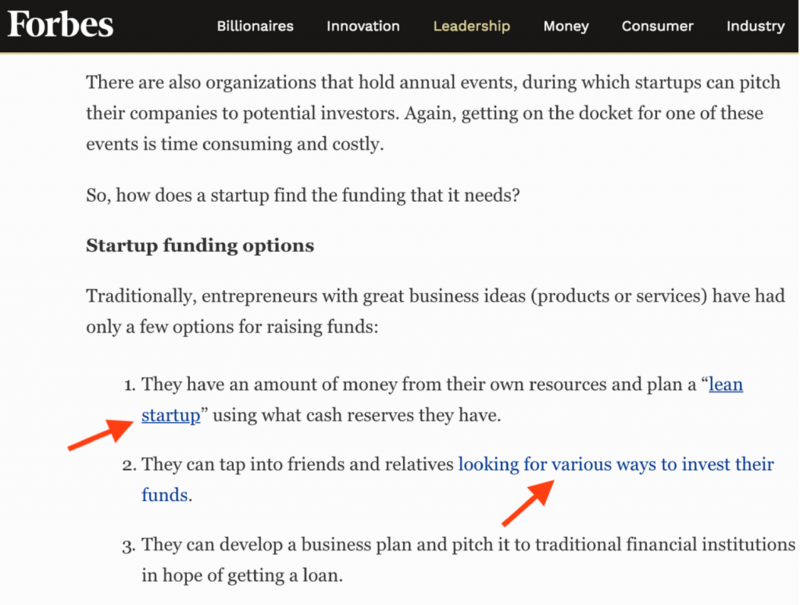 This link occurs within an article on venture capital, and startups are what venture capital is raised for, so “How to Start a Lean Startup” is a relevant topic for the editor to link out to. Not only do you get a boost from the link, but any traffic that clicks through to your content also can continue on to your sales content! You’ll get more backlinks and thus more traffic and sales by putting up authoritative content on your site and making it easy to find your products from that page. Depending on your niche or industry, there are topics under debate that people may fall sharply on either side of. You can take advantage of the emotional component of taking a stand and write a piece that argues for one side. This gets linked to from people who agree and even those who don’t agree but want to present an opposing view to their audience. Extra points if you can present a controversial opinion on a trending topic. You don’t necessarily need to be this dramatic in your piece, though the emotional response it gets can help. An argumentative piece can be as simple as stating your opinion on problems that your audience is having and calling those problems out. Research pieces present information in a useful and numbers-driven way. Like authoritative pieces, research content answers questions, but you answer those questions by using hard evidence to back it up. Research content can take a number of forms. For example, you can conduct original research to present statistics and analysis that offer unique insights. Do you think research pieces attract backlinks? You can bet that they do. If you do the work to come up with meaningful statistics that provide insights into your niche topic, this research content is primed to serve as a reference and get backlinks. If something new comes out or there is a trend on the rise, your ability to provide news or updates to the audience can come in handy. Whenever Apple comes out with a new version of the iPhone, you can be sure that about 10 million+ pieces of content will come out to talk about it. But you can provide an update on something more specific to your niche. 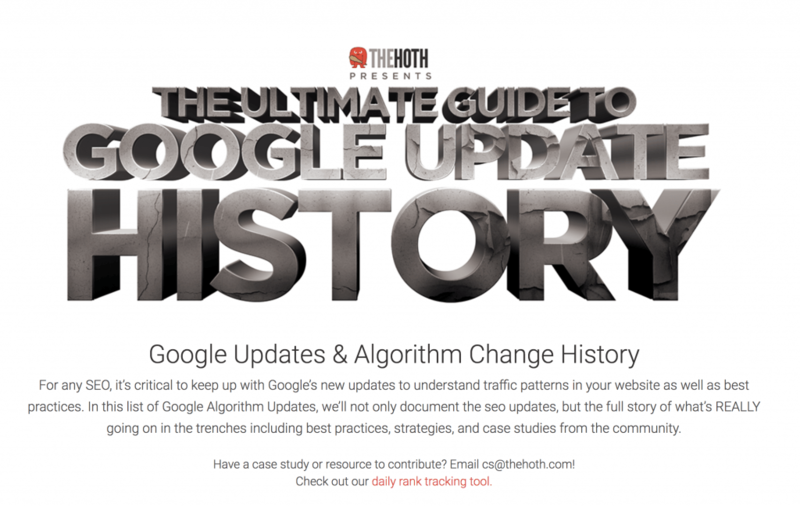 For example, we keep our readers up to date on Google’s Update history. Now you have an overview of the quality content that works to get quality backlinks to your site! Check out this great article by SEO expert Glen Allsopp for more examples of content that attract links. If you want to try a tool that helps you come up with ideas for content, try our Headline Generator Tool. 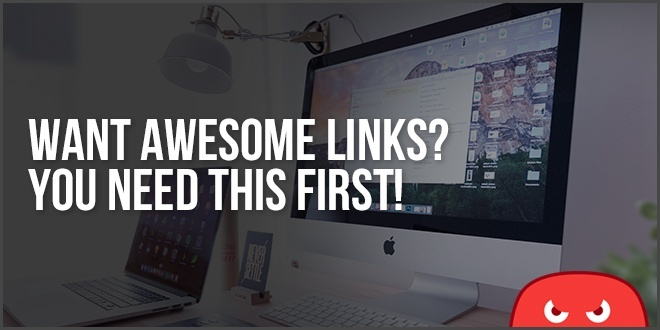 What’s awesome about starting with linkable content is that over time, you can start to attract free links naturally! Once your content starts to rank, it’ll be seen more in search results and attract additional links as a result of the increased exposure. Why does it work? Because your content is an easy-to-find reference! For example, journalists write articles and need content to refer to that supports their piece. They might look for examples, answers, quotes, and studies. If you rank at the top of the results and provide what they need in your content, it’ll be you they refer to. 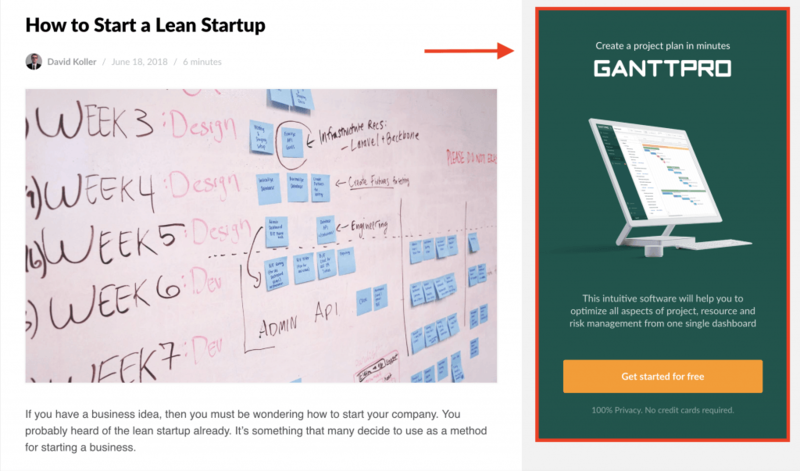 So you essentially multiply the value of your content by getting free links in this way. How do you start getting some free links? Rather than just sit there and wait, there a few simple things you can do to kickstart the number of links your content is getting. Promotion is a key tactic to getting the initial links that you need to rank. To get started promoting your new content, share it on social media and tag prominent people in the post who might be interested in it. You can also try taking out a press release and sharing it with news organizations as another promotion tactic. Do some direct outreach. If you want your piece to get a link from someone prominent, why not reach out to let them know you made it? If they check out your content and like it, that’s free promotion for your piece. There are different ways to do it, such as through email or social media messaging. Influencers are inundated with requests for links. So don’t even ask for the link. Just make them aware of the content. 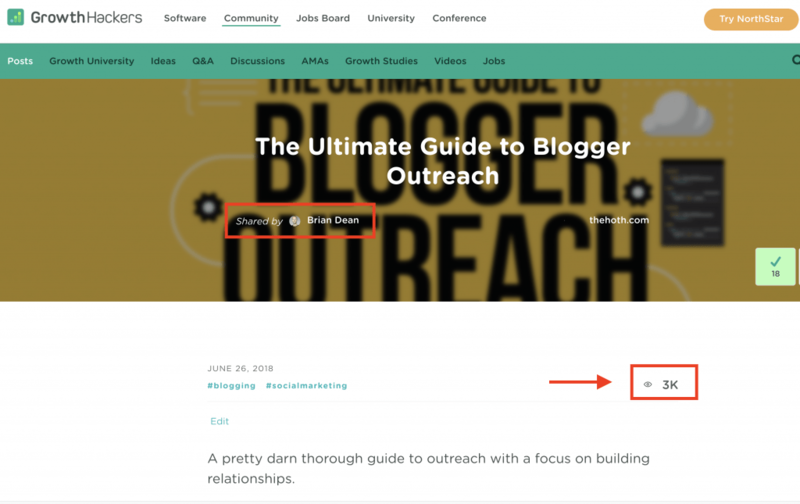 For example, we emailed Brian Dean to let him know that we mentioned him in a piece of content about Blogger Outreach and he shared it on Growth Hackers. We were then contacted by a podcast for an interview on the Blogger Outreach article. Being on this podcast earned us yet another link from the episode’s page, along with traffic from the show’s listeners. There are more submission sites out there, and some are relevant only to specific industries. Submit where it makes sense for yours! So you have the quality content piece. You’ve promoted it to get some initial links pointing to it from other sites. Now you want the traffic and link juice to flow to your product page – and you do that by internally linking! When you link FROM your standout content piece TO your sales pages, you can turn that traffic into purchases. As I mentioned in the beginning, this is the better strategy for getting people to your product pages, since product pages don’t attract a lot of links. 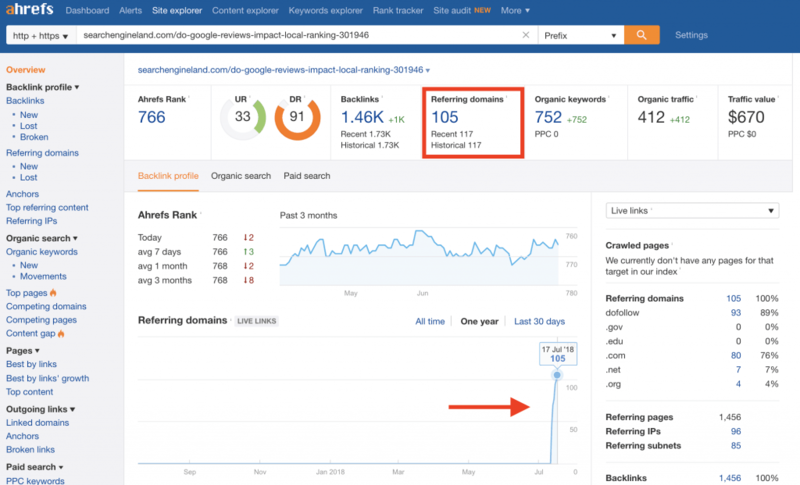 Internally linking can actually help your product pages rank as well! 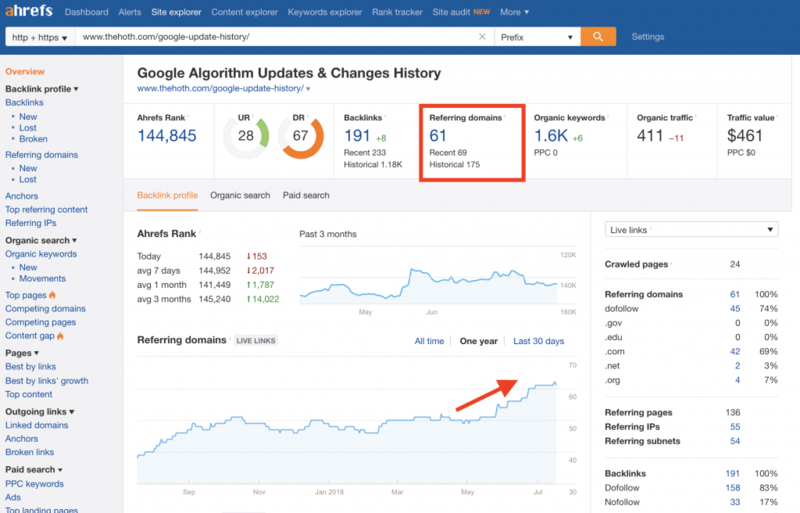 This case study from Ninja Outreach shows how internal linking increases traffic. Interlinking also provides opportunities to turn traffic into sales. Why does this work? People who search for terms like the ones you’d use to create quality content are often midway in the customer buying cycle. They just need a bit of a push to start considering a purchase. We mention that we provide a guest posting service / blogger outreach service and link them to our Guest Posting sales page. 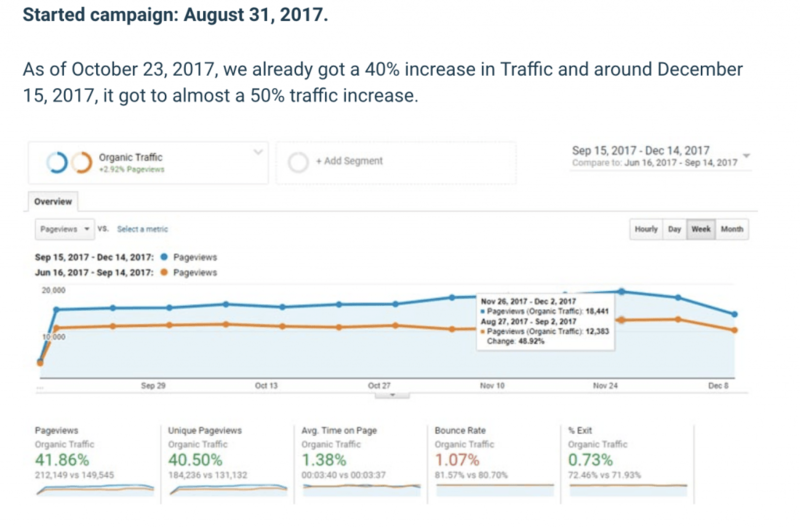 Both pages get an SEO benefit, and the traffic that landed on the guide turns into customers after being sold on a solution to their problem! Sure, some might use the information and leave. 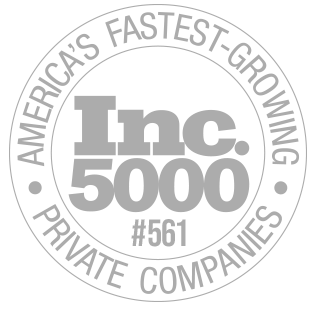 But if they are a busy business owner who would be a good prospect for us, chances are they’ll read this article and realize that outreach and guest posting is a lot of work…and we can help. So we make sure to mention our guest posting service at the beginning and end of the article to ensure that they at least check it out. By creating linkable assets, you can get much better links to your site. Interlinking great content pieces to your product and/or service pages drives people down the funnel and help you get more sales. This strategy gets you backlinks more easily and for less money than if you tried to rank by purchasing a bunch of links. Awesome, best of luck with your project Roshan. Gret piece of content, it talks about exactly what I was looking for, which is creating linkable assets on my website through a simple a process. Keep up the good work. Thank you for the great article, great ideas to get natural backlinks. Toda raba, Yaniv! Hope you get some nice backlinks! Still, I have one question that how to get dofollow links?? Getting free back links from great content sounds great in theory but is complete bs for most industries. Especially from Forbes. Most are consumers with no sites. Well, the backlinks don’t always come on their own. Often to get the best links to your content, you need to do some outreach to people and ask them to link to your piece. 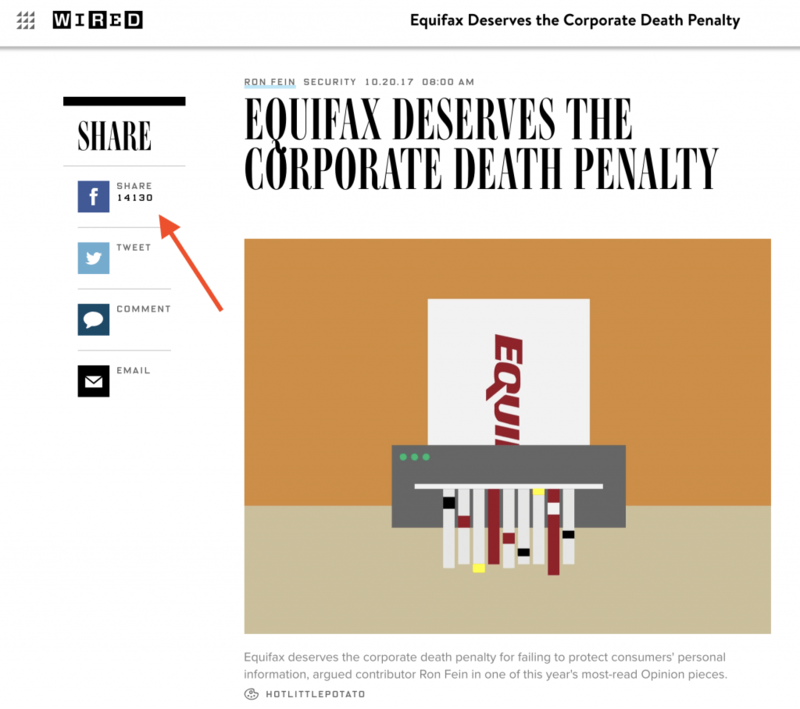 If your content is relevant and good, you can get a backlink from a topically adjacent piece. And for smaller sites with lower quality, the links they attract will likely be of lower quality. So I think that along with quality the brand equity of the site comes into play. Your posts are ones that I can never miss! Keep it up! Kudos!